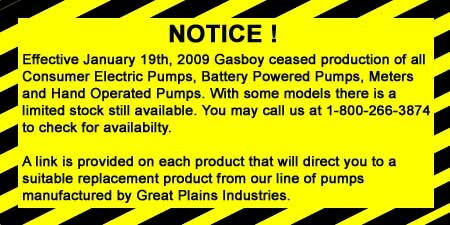 Gasboy Equipment : ARK Petroleum Equipment, Inc. Whether your installation uses underground or aboveground tanks, or your site is private or retail, Gasboy International offers a solution to meet your fuel dispensing and management needs. 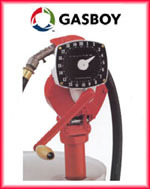 From durable hand-operated pumps, to compact AC or DC electric pumps, to high volume 50 GPM (188 LPM) super fuelers, Gasboy can provide fuel dispensing equipment for your application. A complementary line of automated fueling systems allows you to leave your site unattended around-the-clock, while maintaining full control and accountability of all fuel usage. Access control methods range from traditional magnetic stripe cards, to smart read/write keys with embedded microchips, to the latest intelligent vehicle modules which allow direct communication to the vehicle without driver interaction. 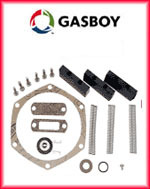 No matter the need, Gasboy has a reliable solution to satisfy the demanding requirements of any fleet.